An amber brown colour The expressive first nose is unusual, bringing out lovely notes of candied plum & apple. Swirling releases additional notes of vanilla & delicate spices. Initially sweet and mellow, fruity notes gradually develop (candied plum, dried apricot, candied orange peel), then sweet vanilla & cinnamon add volume & freshness, sustaining a deliciously long finish. 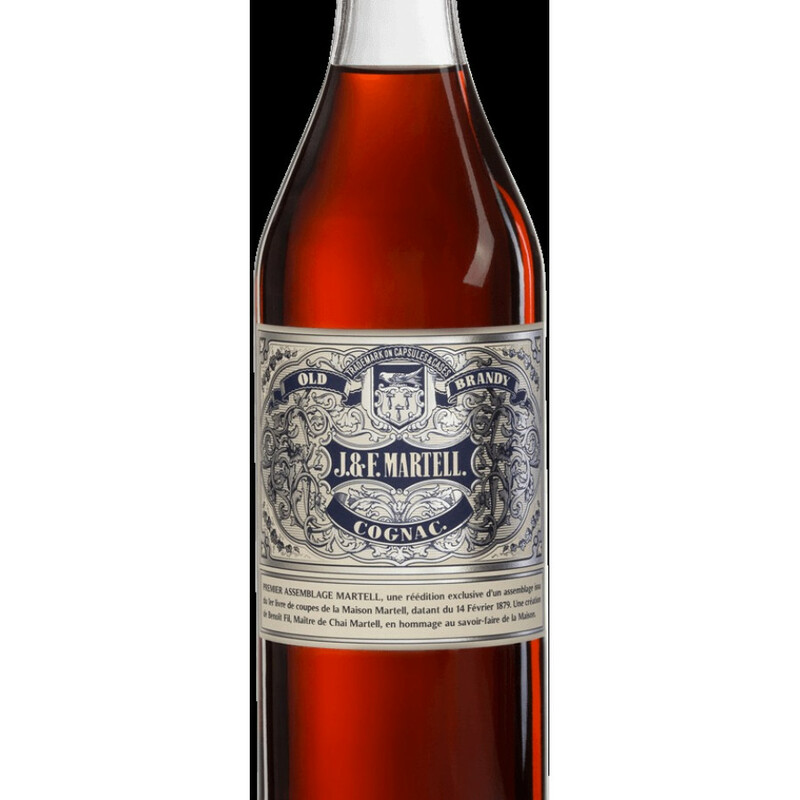 Martell Premier Assemblage Cognac is another limited edition for the 300th anniversary of Cognac Martell. The cellar master Benoit Fit reproduced this cognac based on a a recipe formula from 1879, studying the records from the House Archives, dated from 14 February 1879 at length. He then endeavored to make a faithful reproduction of the formula written by his distant predecessor, with the same origins and using eaux-de-vie of feisty character, aged in different types of casks, and chosen on the merit of each of their flavors. The result is a balanced composition of eight cognac vintages; Grande and Petite Champagne, Borderies, Fins Bois and Bons Bois, creating a blend that reflects the richness of the Charentes terroirs. In another tribute to the brand’s heritage, the bottle is an authentic cognac flask (such as those used from the end of the 19th century) with a characteristically robust shape. The blue label of that time has been faithfully reproduced, and bears the house’s coat of arms and signature J. 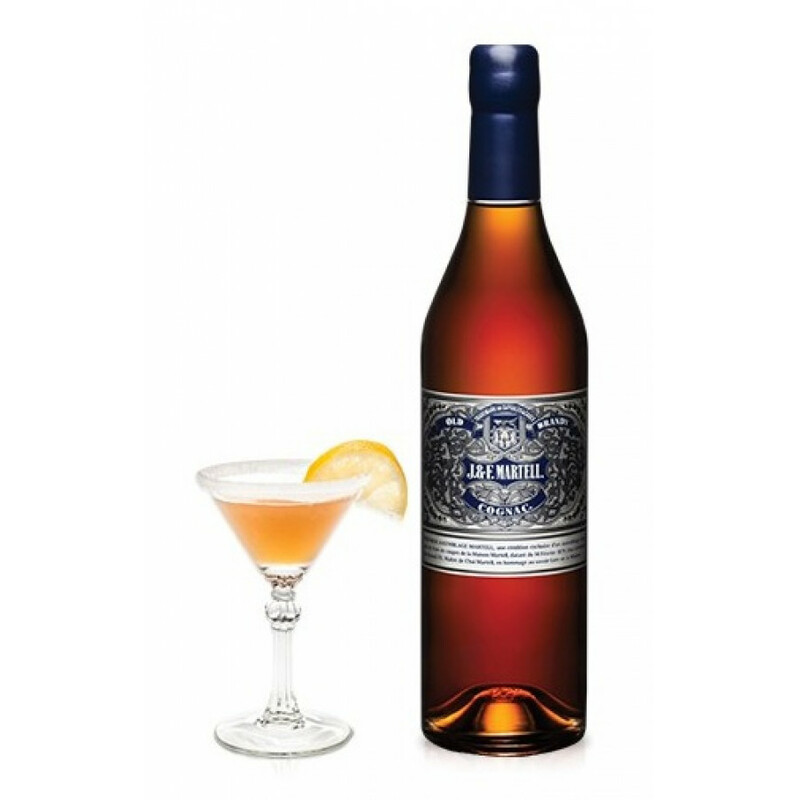 & F. Martell, in honor of Jean and Frédéric Martell, the founder’s two sons who gave their names to the house.